As you know the Ardsley SAYF (Supporting Ardsley’s Youth and Families) Coalition has surveyed High School Students in an attempt to better understand the issues they are facing. To more effectively address these issues we also need to understand the parents’ view. Therefore please take a few minutes to complete a High School Parent Survey that is being funded by the NY State Office of Alcoholism and Substance Abuse Services and conducted throughout Westchester County. This survey will take about 5 minutes to complete. It will ask about your thoughts on underage drinking and other drug use among high school age youth (ages 14-19). The survey is anonymous—we are not asking for your name or any other identifying information that can link your answers to you. Along with other Westchester communities, we are partnering with the state on this survey because it is totally anonymous, it will provide us with information we need to better plan the activities and strategies to help our families, and there is no cost for the community or school district. Please be sure to indicate that your child is attending Ardsley High School so we can get Ardsley specific results. Please complete the survey by December 14th. If you have any questions, please contact Theresa Del Grosso at ardsleycoalition@gmail.com. 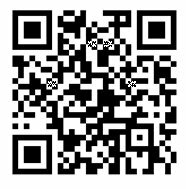 To access the survey you can use the QR code above and take the survey on your tablet or smart phone, access the survey via link above, or via hard copy upon request. On behalf of the Ardsley SAYF Coalition, thank you for your anticipated participation and understanding, as we all share the same goal, keeping our teens SAYF!